This heavy-duty cord connector is for use with portable generators up to 5000-Watt. NEMA L14-20 configured and UL listed, the Reliance Controls L1420C features a 5-year limited warranty. Rated 20 amps at 125/250-Volt. Multi-purpose wire connector/marretts kit includes WingGard and WireGard twist-on wire connectors with unsurpassed quality and durability for general purpose applications requiring the connection of 2 or more copper wires. 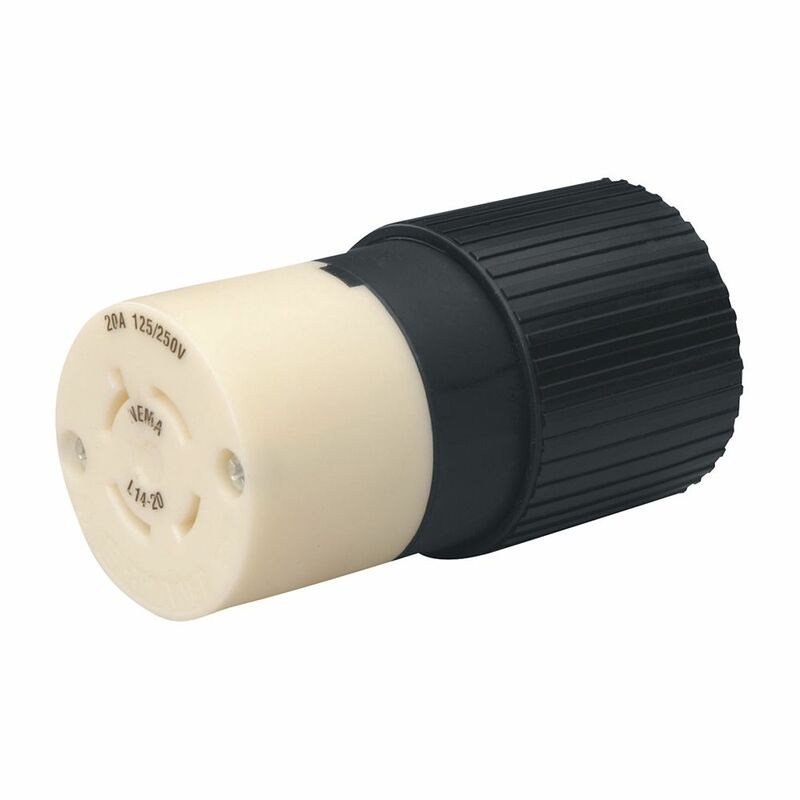 WireGard connectors feature a straight type polypropylene shell with side knurling for an easy grip while WingGard connectors feature a high-leverage, easy-on, wing-type design. The zinc-plated square wire-spring inside instantly adjusts to the shape and size of the splice upon insertion ensuring a long-lasting connection that resists corrosion and exceeds UL standards for dielectric strength and wire pullout force. Flame-retardant properties resist heat distortion up to 105 C (221 F). You have a tough job. IDEAL, the leading brand in twist-on wire connectors, makes it easier with our tough and dependable line of WeatherProof Wire Connectors. These harsh-duty wire connectors have been designed specifically to handle wire connections exposed to damp/wet conditions. Each connector is pre-filled with a long-lasting, Silicone based sealant that protects your electrical connections against moisture and corrosion. L14-20 Twist Lock 20-Amp 125/250-Volt Generator Cord Connector This heavy-duty cord connector is for use with portable generators up to 5000-Watt. NEMA L14-20 configured and UL listed, the Reliance Controls L1420C features a 5-year limited warranty. Rated 20 amps at 125/250-Volt.